Do you want to get your books for the lowest prices possible? This past week I learned that there are a number of sites that compare book prices. These 13 sites show varying results when I input the title of my debut novel as an example. I’ve put an asterisk after the five sites that produced at least five U.S. comparisons. Using one of these sites could help you save money, enabling you to s-t-r-e-t-c-h your book-buying dollars. In my book, that’s a very good thing. Do you compare prices before making your online book purchases, or do you tend to do most of your shopping at one bookseller’s site? I'm an award-winning author of inspirational historical romance smitten with the Victorian Era. I'm currently writing for Harlequin's Love Inspired Historical line of wholesome, faith-filled romances. My debut novel, A Bride Opens Shop in El Dorado, California, was released July 1, 2012. I'm represented by Rachelle Gardner of Book & Such Literary. I live in a Gold Rush-era town at the foot of the majestic Sierras. My favorite places to visit are my fictional worlds, other Gold Country towns and historical museums. When I'm not writing I enjoy taking walks, working out at Curves™ and reading. This entry was posted in Reading and tagged Book Price Comparison Sites, Comparing Book Prices, Keli Gwyn. Bookmark the permalink. Wow! I had no idea some of those sites existed! Thank you for sharing! I’m with you, Sherrinda. I do most of my book buying on Amazon. Their prices are hard to beat. However, now that I know B&N offers free shipping on orders over $25 just like Amazon, I’ll be going with B&N whenever I can. They seem to be working hard to match Amazon’s prices. And for sales, Christianbook is hard to beat. I got Erica Vetsch’s A Bride’s Portrait for just $4.69 recently, and it’s cover price is $12.99! Lindsay, like you I used to be an auto-pilot book buyer. I’d head to Amazon, assuming they had the lowest price. However, the recent price war between Amazon and B&N on my debut novel has shown me that B&N is doing its best to provide serious competition. The two companies have dropped the price of A Bride Opens Shop from the $12.99 cover price down to just $5.35. It seems Books-A-Million isn’t going to let Amazon and B&N get all the business. By using the comparison sites in this post, I learned that BAM! is offering my book for $6.74. The winners, as I see it, are the customers, since the companies can’t be making any money at those prices. Wealthy of knowledge here. You just opened my eyes. Must look into this! I tend to go to one site … it’s just easier. But you’ve done the working of helping me shop around. Thanks, Keli! I love how our blog posts went hand-in-hand today! Sheesh. Anonymous is me, Keli. Don’t know why I wasn’t logged in. Wow! Thanks for the info…that’s amazing, Keli! but it’s always worth a try to save a buck! I tend to buy from Amazon, since I have a Kindle. I started using Amazon regularly in college when I was an English major and needed my books ASAP – they were always the fastest, even when buying from an outside seller. That being said, this is a great list and one that I will hang on to for future reference. I had always purchased my books from a bookstore. Now that we have moved to the rural mts. the closest bookstore is over an hour away. I now purchase books online. 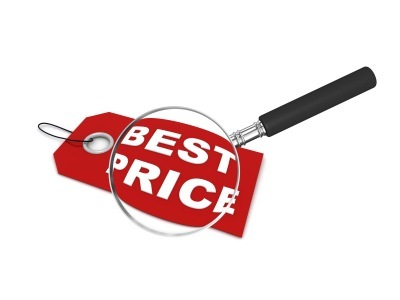 Thanks so much for the web sites for price comparisons, they will be very helpful. Have a great week! Lots of fantastic information here, Keli!